Divine! Recently renovated with a great taste! Suitable for 4 people . Large balcony . Spacious living area, dinning area. Aircon cold/ warm. Master bedroom with Queen size bed . Second bedroom with twins bed, it can be joined if it’s needed. Guest toilette . Full bathroom with bathtub and shower. Kitchen with a breakfast area. LCD TV with cable . Internet Wi Fi. Landline telephone . Safe box . 3 Aircons cold and warm. Kitchen with toaster, coffe machine. Microwave . Gas cooker . Dishes . Kitchen utensils. Washing machine. Balcony . 3 aircons cold / warm . LCD TV with cable . Internet Wi Fi . Landline telephone . Safe box . 3 Aircons cold and warm. Kitchen with toaster, coffe machine. Microwave . Gas cooker . Dishes . Kitchen utensils. Washing machine. 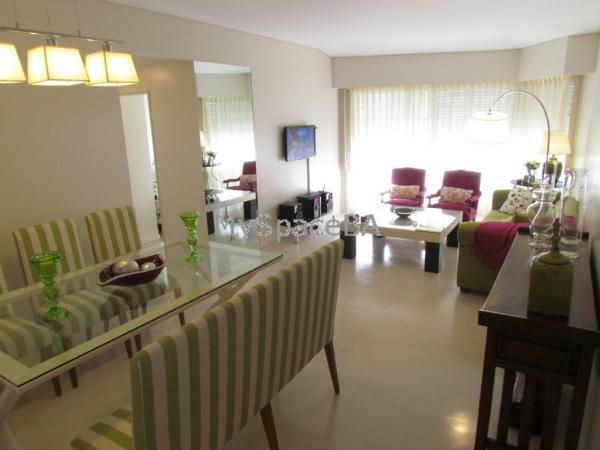 This lovely apartment is located right in the heart of Recoleta.